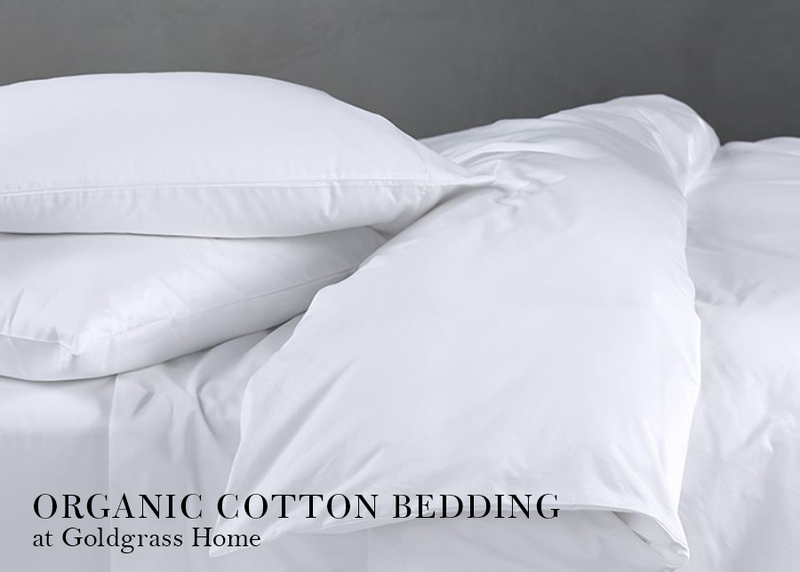 If you're looking for Organic Cotton Bedding, you're in the right place. At Goldgrass Home we take pride in finding the purest of the pure. You're sure to find a set of super-soft, luxurious Organic Cotton sheets, pillowcases or duvet covers for your pure, natural sleep. The great thing about our high-quality Organic cotton bedding is that has the feel, comfort and design features you expect in luxury linens. Deep pockets, beautiful design, and top-quality detailing will have your bed looking just how you like it. We carry world leading brands that make the finest organic cotton bedding out there. Names like Coyuchi and Green Living Organics are celebrated for their fit, comfort and consistency. And of course SDH, in it's 'Purists' collection has several options of pure organic cotton and organic cotton/linen blends. And don't worry, whether you're a percale lover, or whether you prefer the silky feel of sateen; whether you want to get warm and cozy in flannel, or light and cool in twill, we're sure to be able to find just the right thing for you.